Here’s a bouquet of lovely Lilium for my 600 followers. Thank you for sharing my journey. To all who pass through, thank you for stopping by. 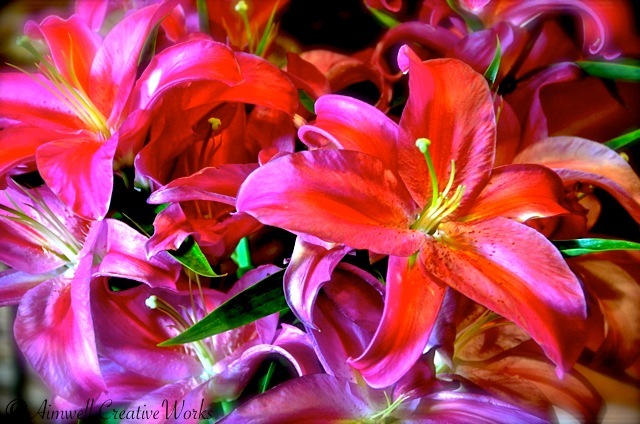 This entry was posted in Art, Flowers, Photography, Thoughts and tagged Aimwell CreativeWorks, Dorothy Chiotti, flowers, Peace, Photography, thank you. Bookmark the permalink.